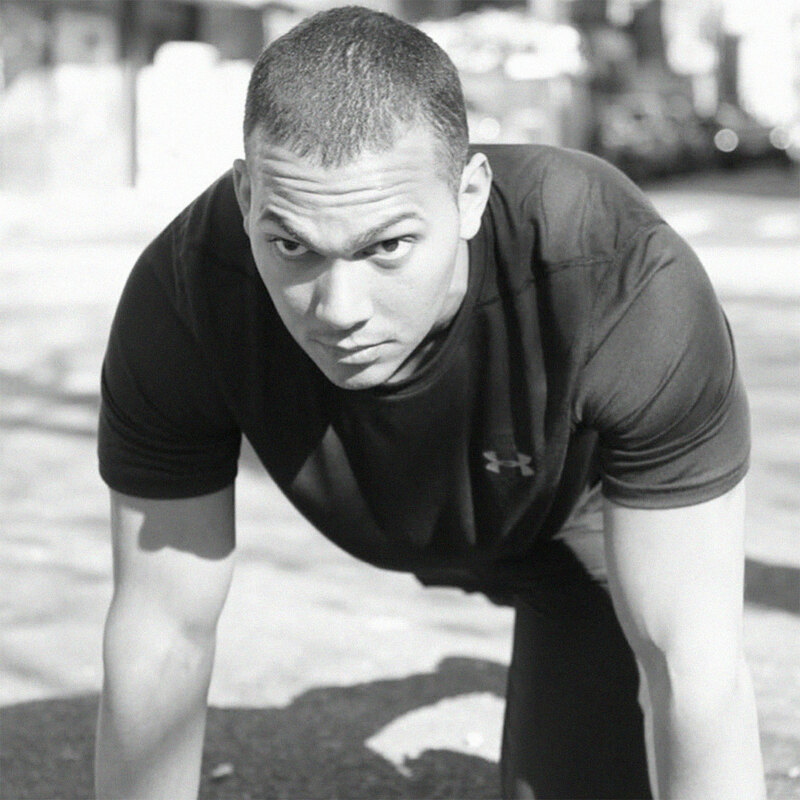 Coss Marte (@CossMarte) is the founder and CEO of ConBody, a NYC-based fitness studio that hires formerly incarcerated individuals to teach fitness classes, and author of ConBody: The Revolutionary Bodyweight Prison Boot Camp, Born from an Extraordinary Story of Hope. How a 13-year-old immigrant from the Dominican Republic scaled up a $5 million per year drug business — the Uber for cocaine. How Stephen King (probably not the one you’re thinking of) brought this whole operation down, inadvertently leading to a domino effect of positive change beginning with Coss Marte. The power of mindset and fitness to stay sane and healthy behind bars — where the odds are stacked overwhelmingly against personal improvement on any level. What Coss and ConBody Fitness are doing to help rehabilitate the incarcerated and break the cycle of recidivism so many fall into. How lessons learned from the illicit drug trade transferred to Coss’ legitimate business and helped him build a bridge of understanding between the world’s successful and its formerly incarcerated. Recidivism — the likelihood that a criminal released from prison will return (typically within five years) — is 76.6 percent on a state level and 44.7 percent at the federal level. It’s a self-perpetuating cycle that’s hard to break thanks to the modern United States prison system’s focus on punishment and profit over rehabilitation — a system that many point out is in dire need of drastic reform. Joining us for this episode is Coss Marte, a man who intimately understands the need for such reform from spending six years in the system himself for crimes he committed as a teenager. He’s one of the lucky few who turned his life around by founding NYC-based fitness studio ConBody — which gives the formerly incarcerated a second chance by hiring them to teach — and he’s the author of ConBody: The Revolutionary Bodyweight Prison Boot Camp, Born from an Extraordinary Story of Hope. Listen, learn, and enjoy! Gusto is simply the best payroll for your small business, automatically calculating, depositing, and filing payroll taxes. Sign up at gusto.com/jordan for your free three-month trial! When you want to change how you eat, you should do it slowly and make it permanent. One Fix will analyze all your meals, find one fix, and help you do it for a month. Go to getonefix.com and use the code JORDAN to get $50 off your first month! What’s the penalty for making a poor choice in life? We may be haunted by the memory of such a choice until our dying day, but if we’re lucky, the regret we carry for making that choice is the harshest consequence we’ll ever endure. For others not so lucky, like NYC-based fitness studio ConBody founder and ConBody: The Revolutionary Bodyweight Prison Boot Camp, Born from an Extraordinary Story of Hope author Coss Marte, a poor choice could lead to spending six years behind bars on New York’s infamous Rikers Island correctional facility. “The beginning started with my mom immigrating from the Dominican Republic when she was six months pregnant with me,” says Coss. “We ended up in the lower east side in the ‘80s when it was a heavily drug-infested neighborhood. Even before going to school and just walking down my building steps I would have to skip over heroin needles and people lined up — coming out of my building, I would have to squeeze myself in through the hallway because there were 50 people lined up to buy heroin out of different people’s apartments. It was just like something you see in the movies, but it was reality for me. And most of those guys who were selling drugs were my family members — my uncles and cousins…my mom was not involved with it, but I quickly saw that as my way out. My way of making money. “I saw my cousins and uncles have the big chains and the cars and the women and it was what I thought I wanted and what I needed and what I aspired to do. When I could go to school, people would ask me, ‘What do you want to be when you grow up?’ I would tell them, ‘I want to be rich.’ And that became my first avenue in reaching that goal. Listen to this episode in its entirety to learn more about how Coss’ childhood ambitions led to him becoming a drug kingpin in his teens, what misstep crumbled his criminal empire and turned him into a convicted felon as an adult, how losing 70 pounds in six months sharpened his fitness goals and got the attention of others in prison who wanted to know his secrets, the injustices that prevail in the modern prison system for those who don’t have help from the outside world, what contributes most to high recidivism rates and what Coss and ConBody have done to give the formerly incarcerated a second chance, and much more. Click here to thank Coss Marte at Twitter!